Every tool needed to create amazing etchings is here! Comes in a 4 Piece Roulette Set or a 6 Piece Roulette Set. 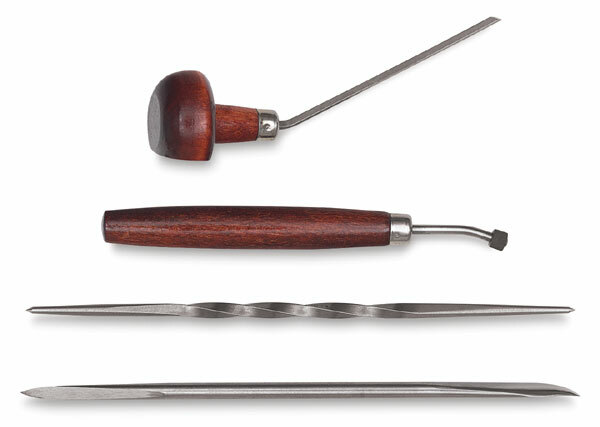 This includes a scraper/burnisher, roulette dot #85, a twisted double point scribe, and a burin square medium.